The wickedness of mankind has moved the Creator to destroy the world by way of the flood. Noah has been tasked with building an ark to save his family and the animals of the world. But this is not Noah's story. For darker powers have commanded the sorcerer Shrae to build his own ark and save the unnatural creatures of the world--such as the vampires, the dragons, the naga, and the manticore. But what will happen on a vessel crawling with monsters, where insidious intrigue and horrific violence are the rule of law? 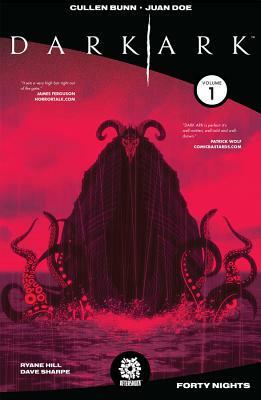 From writer Cullen Bunn (X-Men Blue, Deadpool, Venom) and artist Juan Doe (AMERICAN MONSTER, WORLD READER)comes a sinister tale of biblical proportions.